Seeds or plays on table. 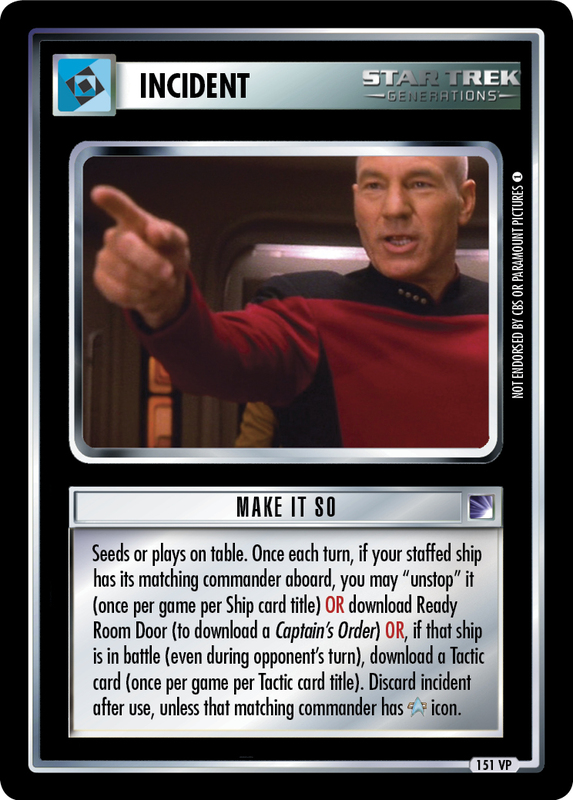 Once each turn, if your staffed ship has its matching commander aboard, you may "unstop" it (once per game per Ship card title) OR download Ready Room Door (to download a Captain's Order) OR , if that ship is in battle (even during opponent's turn), download a Tactic card (once per game per Tactic card title). Discard incident after use, unless that matching commander has icon.